Thirsty Pilgrim: Flying Gnomes, Belgian Humor, and Aroma Hop Delivery Devices. 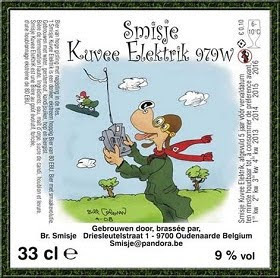 Flying Gnomes, Belgian Humor, and Aroma Hop Delivery Devices. Thanks again to my friend and fellow Midwesterner Stefan Berggren, who just gives and gives and gets so little back in return. He's the one who spotted this Smisje label and sent it to me. Remember the flying Chouffe video? Speaking of Smisje: At last weekend's ZBF it made use of Dogfish Head's famous Randall the Enamel Animal. 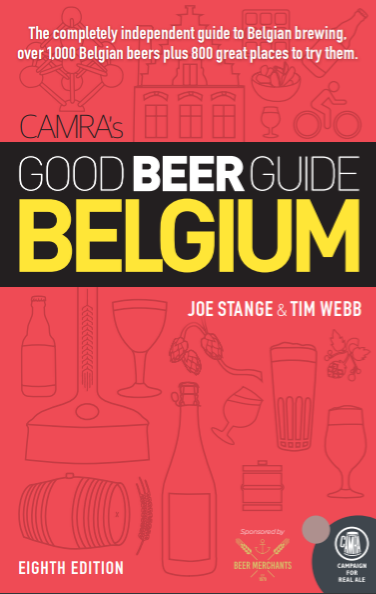 Have a look here, courtesy of Filip Geerts and his Belgian Beer Board. 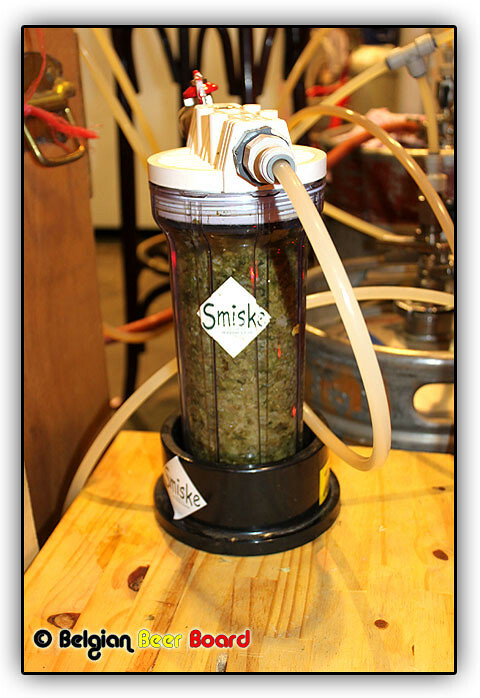 The strong pale Smiske ale got big smelly boosts from American Cascade and Palisade hops. So, any of you try it? How was it? Back to the Midwest: Going to the Windy City anytime soon? Handy little article here from Time Out Chicago on spots to find small-batch beer, wine and booze. I note especially the Publican, which serves Becasse-inspired sweet lambic from earthenware jugs. In the future, all beer will be served from earthenware jugs. History is cyclical like that. Speaking of the Midwest, again, this will be the 25th year for the Great Taste thereof. That's in Madison. That's where Stefan lives. My room is booked. He'll get what's coming to him. Meanwhile, good luck to anyone trying to peel me away from the real ale tent. Ah, the Great Taste! Missed it last year, but felt better when I saw that - for the first time in, like, forever - Mama Digdown's wasn't performing. They'll be there again this summer, and I need to find a way to be, as well. What a glorious event.